The field of phlebotomy is one area that’s leading the way for having a long-term and lucrative career, find your career path. Though the US economy is still struggling to rebound from the worst economic downturn in 34 years, the field of phlebotomy is one area that’s leading the way for having a long-term and lucrative career, and thanks to the launching of a new website, people across the globe will now have free information on the ins and outs of the profession. 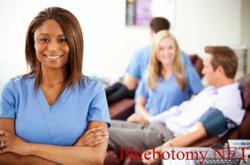 The launching of the phlebotomy website could prove to have perfect timing. According to the U.S. Bureau of Labor Statistics, the field of phlebotomy is on the rise. In fact, the Bureau of Labor Statistics forecasts the field of phlebotomy to grow by more than 10 percent through 2018, while other agencies predict the field of phlebotomy to spike by more than 20 percent by 2014. Guga explained that the new website provides visitors to the site with in-depth information, analysis, research, and a lot more on training, certification, salary, jobs, schools, and courses as it relates to phlebotomy. Jessica Thompson, 23, a student at the University of Houston, said she plans to enter the field of phlebotomy upon graduation this spring and believes that a website set up specifically catered toward this fast-growing field is a great idea. She added that being able to logon to a website specifically designed for field phlebotomy is definitely a benefit to people like her. “The more information that I can have access to, the better it is for me and anyone else entering the field. I will definitely logon,” Thompson said.